Power2Go Inc. is a North American multinational technology company headquartered in British Columbia, Canada, that designs, develops and sells consumer electronics. Power2Go Inc. is a North American multinational technology company headquartered in British Columbia, Canada, that designs, develops and sells consumer electronics. 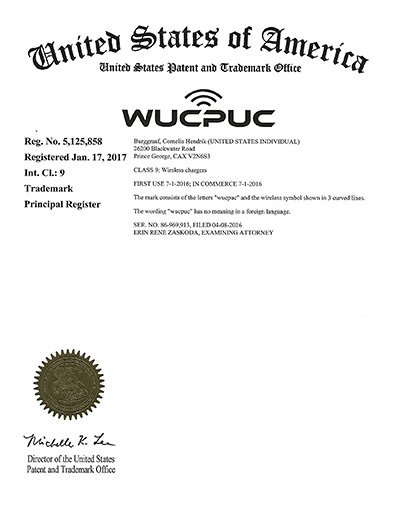 The “Power2Go” logo is a registered Trademark in Canada and the United States. The company specializes in developing wireless charging products for mobile phones, tablets and smart watches. Wireless charging is becoming more and more popular because of its endless applications, from personal phone chargers to wireless charging stations at airports, hotels, meeting rooms etc. Power2Go Inc. was founded by René Burggraaf, to develop and sell consumer electronics including but not limited to wireless phone chargers. The company develops it’s own products, focusing on future technology and incorporating the latest innovations. 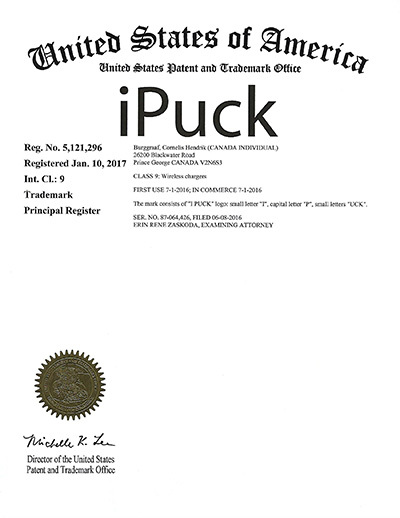 The Power2Go company owns several multinational Trademarks including the iPuck, WoodPuck and WucPuc brand. With a full line of patented products it plays a large role in developing, marketing and selling wireless charging devices. iPuck, WoodPuck and WucPuc products are available exclusively through Power2Go. With our patented products, Power2Go is poised to become a dominant force in the wireless charging technology market.